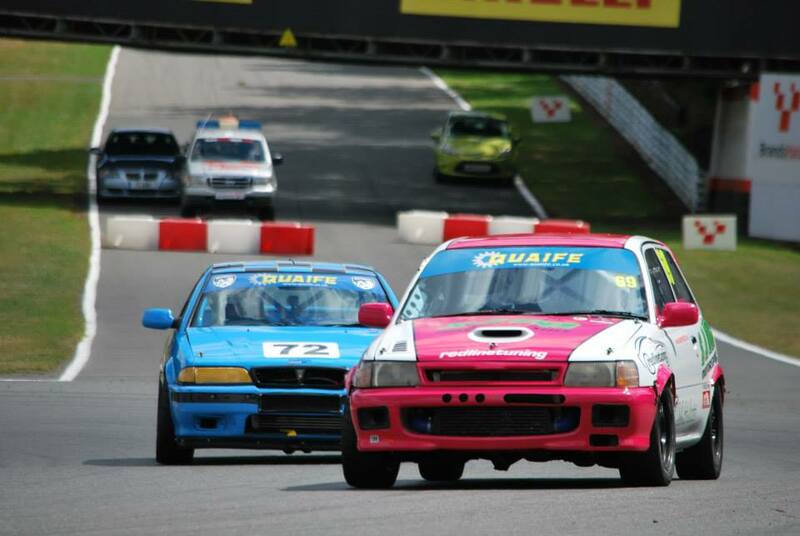 BRANDS HATCH 29/30TH AUGUST BARC MEETING. The rain fell just as the cars left the pit lane for qualifying letting the first train of cars managing to put in some fast qualifying laps, Barney only managed to put it onto the 7th on the grid, hopefully the weather would clear up for the races. 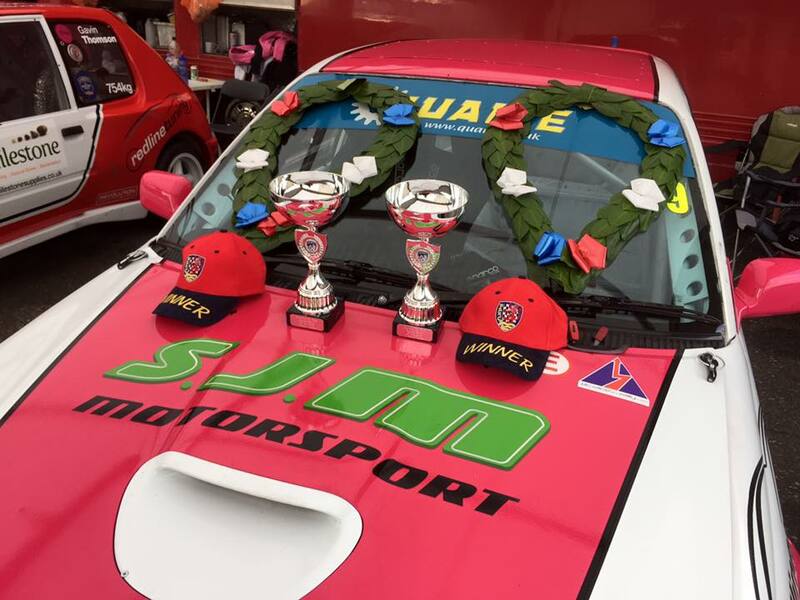 Barney managed to get a good start and it wasn't long before he hit the front and managed to clench the 1st win of the weekend, Tom taking 2nd in the Rover. Race 2 saw them battle from the start unfortunately Barney drifted wide on clark curve and ran out of track, clipping the gravel, he managed to get it back on track however once he regained, it was apparent there was something wrong with the car, he got it back to the pits, only to find a boost pipe had come off, this was rectified by the team and he got back out however didn’t complete enough laps to finish Tom took 1st place in the Rover. This would make for an interesting race, putting him 19th on the grid for race 3, the race started and Barney quickly moved to the front, a great race took place between the Rover and the Starlet until at one point they raced side by side for a whole lap, Barney managed to squeeze in front on the last lap taking his 2nd win of the weekend, Tom taking another 2nd place. 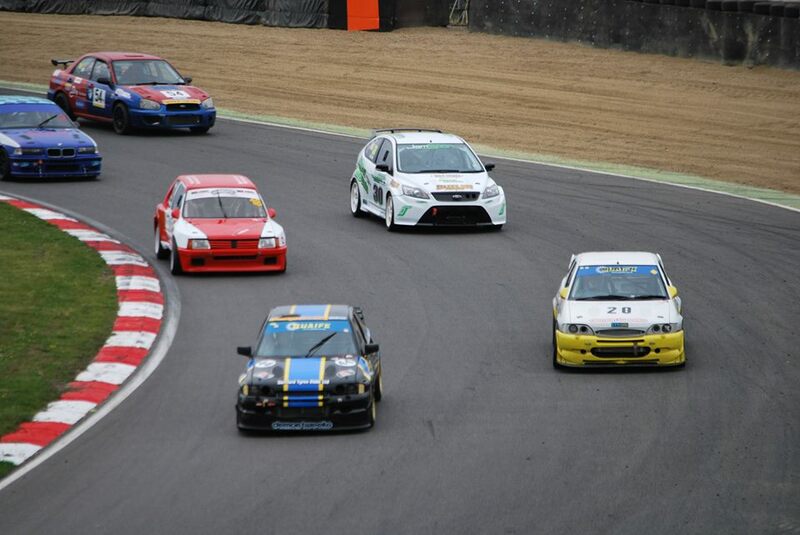 BRANDS HATCH 25/26TH JULY BARC MEETING. Saturday saw Barney in his Toyota Starlet just clench pole for race 1 of the Cannons Tin Tops with 1 tenth of a second on the last lap in front of Tom in the Rover Tomcat. 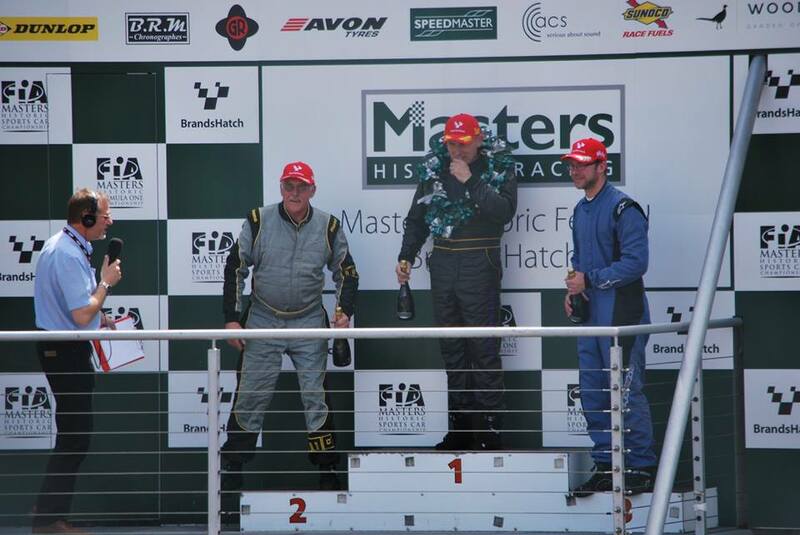 Barney managed to keep the lead from the start and ended up taking the win followed by Tom taking 2nd, Dominic Ryan in his ford Fiesta came in 9th, 1st in class T3, sadly Lewis Turner didn’t finish the race being involved in an incident at paddock hill bend. Race 2 saw Barney and Tom battling to the first corner and Tom managed to take the early lead, he then had to defend from barney chomping at his heels in the Toyota however Barney managed to sneak past a lap later taking the 2nd win of the day and Tom taking 2nd place again, well done to Lewis for managing to piece the car back together and get out for the 2nd race. Barney also took part in the Sevenesque all comers race racing against much faster cars and managed to finish 6th overall. Qualifying saw Barney on pole position for race 1, Tom and Chris managed to squeeze through on the first few corners however after a few laps he manged to retake the lead and continue to finish in 1st, Tom finishing in 3rd, Lewis finishing 10th (2nd in class). Race 2 saw the 1st 6 grid positions reversed putting Barney back in 6th position, within a few laps he managed to take the lead and continue to win the 2nd race of the day, Tom finishing in 2nd place this time. 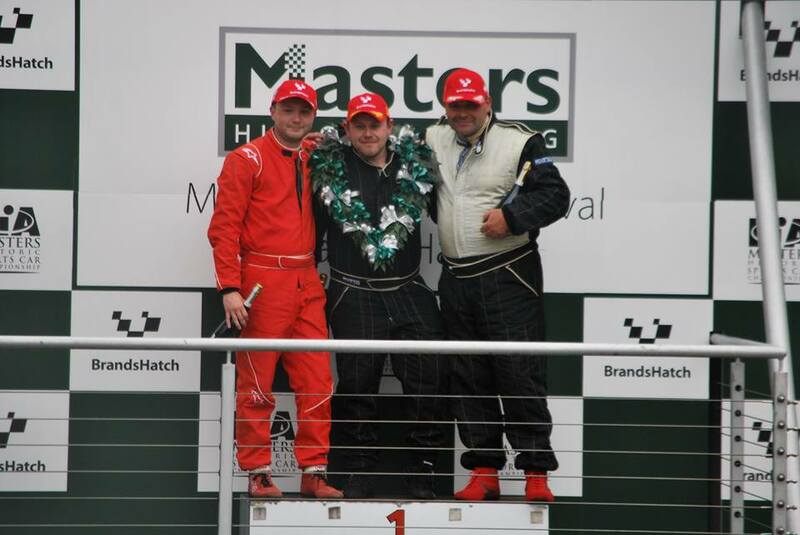 Race 3 saw them start in finishing order from race 2, and thats how it stayed to the end of the race Barney picking up his 3rd win of the weekend and Tom finishing 2nd, Lewis bringing home 10th (2nd in class). 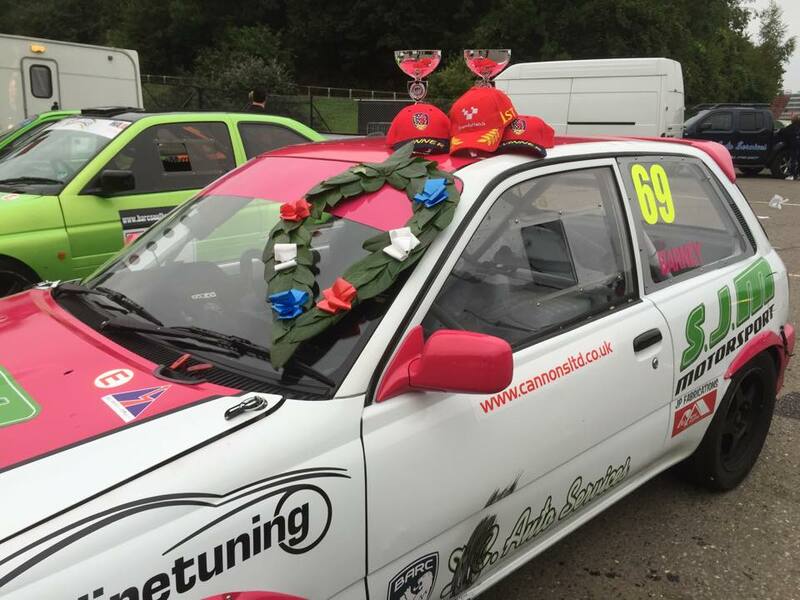 Great days racing at brands hatch with Gavin Thompson racing in the Motorsport News Saloon car championship in Peugeot 205, Gavin managed to qualify in 5th. 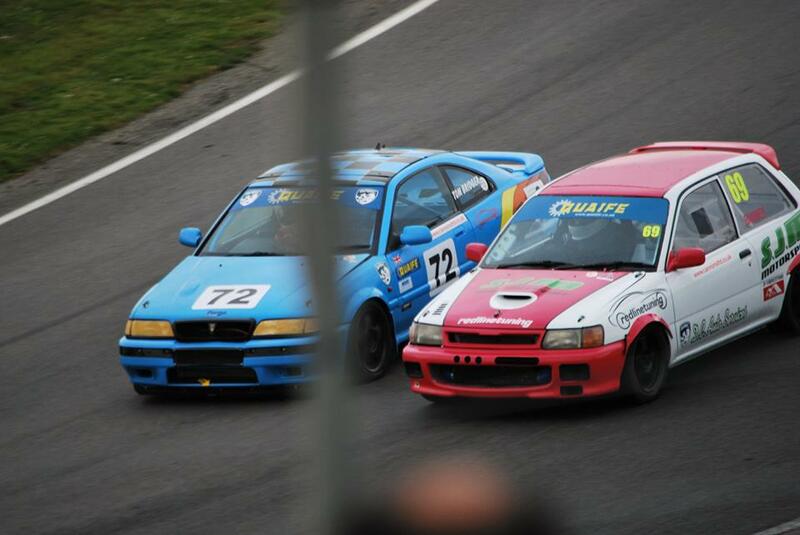 Having to take evasive action loosing him a place at the beginning of the race, he then battled against Ian and managed to slip past getting him a 3rd overall and 1st in class in race 1. Starting now from 3rd on the grid in the 2nd race Gavin had another close battle with Ian and managed to bring home another 3rd and a class win. Thanks to our new sponsor Milestone Reclaim. Barney racing in the Cannons Tin Tops in his Toyota Starlet had major problems during qualifying putting him in down in 15th but was soon up to 2nd, had a great battle with another car tuned by us driven by Tom Bridger in his Rover Tomcat who managed to fend off Barney the whole race putting Tom 1st and Barney 2nd, Lewis Turner picked up a 3rd in class. 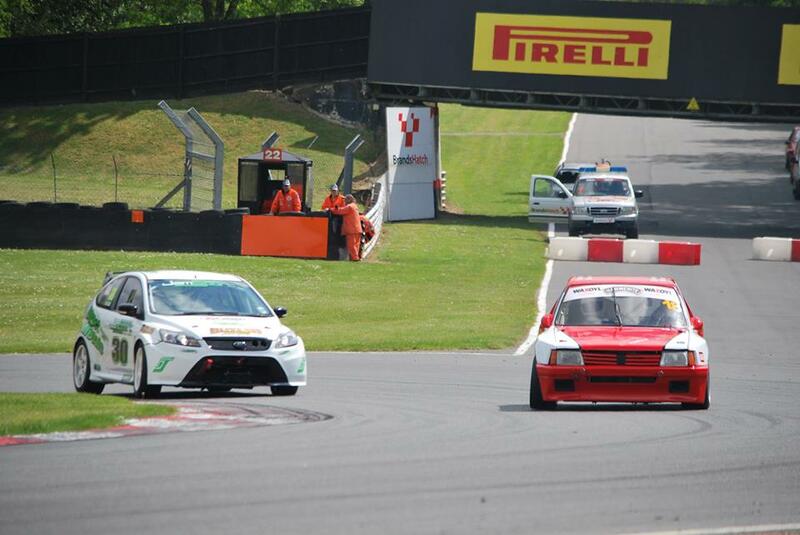 Sadly Reece Jones had to retire in his newly built Ford Focus RS. Race 2 saw Tom and Barney head to head of the line, Barney managed to keep his nose in and get in front of Toms rover which saw him take the lead until the chequered flag, Tom finishing 2nd. 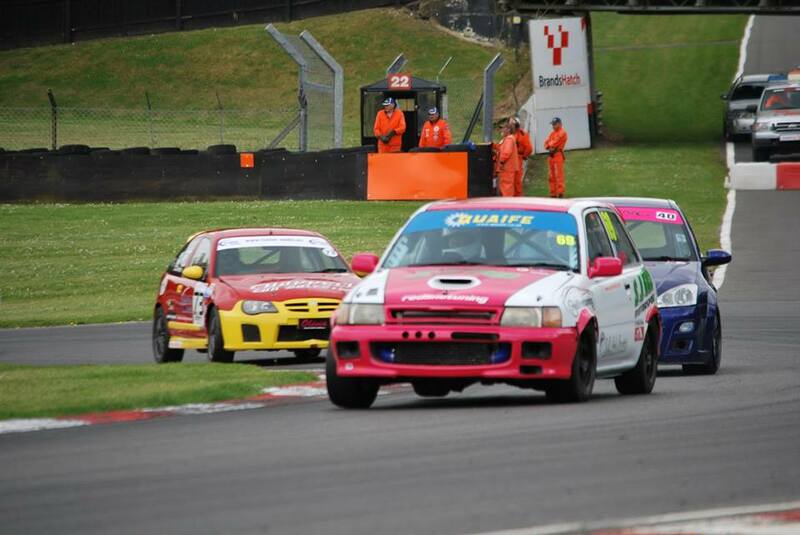 Great weekends racing had by all.